Last year I participated in the Relay for Life in honor of one of my dearest friend’s daughter, Katie. Katie lost her battle with cancer, and the world is a darker place because of it. My Reason to join Relay for Life is my daughter, and your daughter or son. I had never given much thought to CANCER. My daughter had been a healthy beautiful little girl, she was never even sick. I worried about the normal things, are they eating right, are they progressing, is it time for shots, don’t talk to strangers. I never worried about Cancer; my family did not have a history of it. I thought she had a stomach ache, and it turned out to be a tumor. That is the day my life changed. Your first reaction is WE WILL FIGHT this. We fought hard we went for two years every treatment to fight this we did. The problem is we ran out of treatments. It takes research to find new cures for Cancer, and Research takes money. 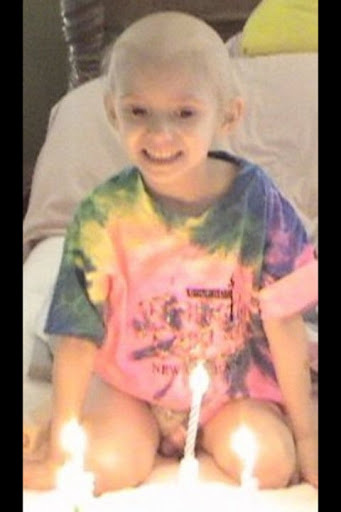 My daughter’s Cancer was Neuroblastoma Stage 4 she was given a 20% survival chance. I want to help raise awareness and money for research, My wish is that another parent never has to be sitting where I was that fateful day, and if they are there I want the Doctors to be able to say, THEY HAVE A CHANCE. And RESEARCH is the WAY. I’m unable to participate in the walk this year, but I would like to put a call out for donations. This entry was posted in Uncategorized and tagged friends, Relay for Life by Just Call Me Mel. Bookmark the permalink.